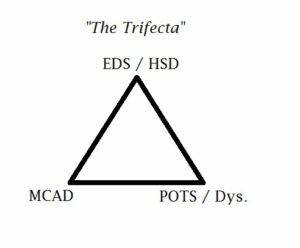 Hopefully you’ve heard of “The Trifecta” by now – that is, the relatively common trio of issues we find comorbid in the Ehlers-Danlos community of any form of EDS (or the newly recognized, less visible diagnosis of Hypermobility Spectrum Disorders since March 2017) plus MCAD in any form (either Mastocytosis or Mast Cell Activation Syndrome) and finally Dysautonomia which all have to some degree. Many will even have the specific subset known as POTS. I personally consider most POTS and all manner of “Dys” to be the likely “love-child” of having weak connective tissues lending to flaccid veins & weak valves (lending to blood pooling in the lower extremeties) and stretchy bladders that help you pee out more than you take in thus lowering blood volume, and the effect of Mast Cell mediators rampant in our systems which lends to vaso-dilation and lowers blood volume further from third spacing and angioedema. Among other things. Toss in a little neuropathic or neurogenic trouble from cranio-cervical settling and instability impinging our brainstems and other bits of our neurology (impinged vagus nerve making you vomit, anyone? ), and of course we struggle to regulate our breathing, heart rate, blood pressure, temperature, motility and more. I rarely meet anyone who doesn’t show signs of either of the other two “legs” of The Trifecta once you drill down far enough and acquaint them with the other sides of the triangle. I know there’s a small camp that believe some POTS and dysautonomia is primary and autoimmune driven, and that may well be in a small subset. But not in the majority by far with EDS in my unscientific observation. Most just haven’t recognized enough other signs of EDS or HSD and /or MCAD yet to realize what’s really driving their dysautonomia. And yes, autoimmune diseases are commonly comorbid in us also, but hold that thought! I often find the reverse to be true as well – people who identify as “just” having either Mastocytosis or MCAS (forms of MCAD) will often complain of all the signs and issues that go with both mild EDS of some kind or the new (since 2017) Hypermobility Spectrum Disorders, plus mild POTS or dysautonomia. But if they aren’t yet aware they won’t recognize those other two players. And finally many EDS and HSD patients later find out the hard way they also have a form of MCAD and also various forms of dysautonomia once they get into the support groups too if they haven’t been told already. The body can only express itself in so many ways with weak connective tissue. 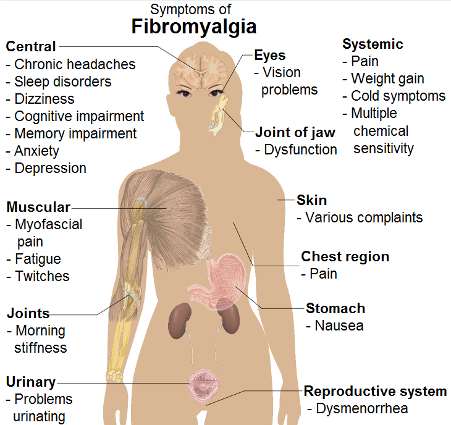 So these are apt to be common experiences and most of the milder forms have been quite well “normalized” as fibromyalgia or just being a bit weaker, quicker to fatigue or low energy. Many are diagnosed with Chronic Fatigue Syndrome, a misdiagnosis in my opinion for many. (Not all.) And my favorite: “just depression“, especially if you’re female. Like that’s a minor issue either, sigh. No, this is no cake walk. And managing The Trifecta alone is a major undertaking for most who have become clinical enough to be diagnosed with any part of it. It is downright show stopping for too many, especially those with increased cranio-cervical instability lending to the issues. My heart goes out to all of you! I only had a bit of CNS Apnea making me forget to breathe from mine at my worst thankfully, knock wood quick! I do still get brain juice headaches and have increasing photophobia and hyperacusia but it’s more manageable than many. The Elephant Project has been discussing this for years over on Yahoo, among other things. (I can’t keep up with all the forums currently though I try my best.) There are some really smart people there circling the same hill or drain many of us have, trying to find an answer to why we enjoy so much trouble. But wait, there’s more! You didn’t seriously think that was all I was going to share of something I’m calling “The Chronic Constellation” did you? Did you?? Ah my dear Alice, we have not only not hit the bottom of our rabbit-hole yet, but it has more rabbit-holes attached to explore, and a whole feral pack of Cheshire Cats to deal with! Everyone I meet with EDS seems to either be on or at least related or even married to someone on the autism spectrum. I’m including the former diagnosis of Asperger’s which I’m well aware the DSM-V did away with in the US in 2013. Many Aspies still self-identify as Aspie though, and likely will continue. I now consider myself a very likely Hidden Aspie, or so-called “autistic cousin” and see many signs in my late family in 20/20 hindsight though none of us ever got diagnosed. And I only strongly suspected myself after 3 different people in my support groups asked me if I was autistic first mind you. It’s increasingly obvious to me the more I learn about it though. This is turning into one heck of a coincidence in my book and I’m dying to see a study correlating hypermobility and autism. Dr. Theoharis Theoharides has correlated autism with the highly comorbid Mast Cell Actviation Diseases since 2013 though meanwhile. I also find the following neuro-divergent and psychiatric constellation really common in our group as well, on the spectrum or not: anxiety, depressive disorders, ADD/ADHD, OCD, SPD, PTSD, mixed mood disorders, Bipolar, Borderline Personality Disorder, Narcissistic Personality Disorder and any and all variations thereupon you can find. Dual diagnosis anyone? Try “Hexa diagnosis” in some. And no, I’m not kidding, they’ve voluntarily shared their diagnoses with me in some cases even without my asking. We really must stop trying so hard to classify people into single boxes with our short sighted views; further, I’ve personally observed people’s conditions and mental health and neurology to change over time – and diagnoses to change or resolve, frankly. Yes I speak from experience in at least one case. Of course, we are often quite loathe to admit to any of this not only from the social stigma all too sadly attached to having mental illness or neurodivergence of any kind despite how common it truly is, but because way too many of our doctors proceed to write off all of our very real pain and physiological issues to “just anxiety” or depression, sadly. I’m now deeply convinced the hEDS population is the reason I keep hearing “depression causes pain”. It doesn’t. It comes with a lot of pain folks! Wake up and validate our pain! I had never heard of Common Variable Immune Deficiency until a fellow zebra (EDS patient) got diagnosed with it in my local support group in 2012 after I suspected her of having MCAS. The doctor she saw did not recognize her MCAS (he only recognizes Masto yet) but did suspect her of CVID. Upon investigating it, I realized this was also a very common presentation in our large online support groups. I found myself prone to lots of lung bugs and infections in later years catching anything that had ever passed through any new house or office I entered. I did manage to shake off all my bugs in a decent amount of time. But I do still catch any virus that even looks at me and have a chronic case of blepharitis (eyelid infection) I still can’t shake even with bacterial ointment. My 23andMe data shows my IgE and IgA systems to be thrashed according to one analyst, though I don’t count that as a diagnosis. I’ve seen many in the group end up on either Meyer’s cocktails or IVIG infusions. And every time I describe this in our support group meetings, others immediately own up to either being diagnosed with it, or related to someone who should be diagnosed with it if not already from the description. Oh that’s why we’re sick so much and so often! Boost those immune systems, everyone and keep your Vitamin D up! No, Ehlers-Danlos Syndrome itself is not autoimmune. But, I’m finding it is really commonly comorbid in people with any and all forms of autoimmune diseases. Or vice-versa, if you prefer. No, not 1 to 1 yet, but at an anecdotally awfully high rate. Yes, this was a shock to me! I kept thinking “oh those poor souls who happen to have both issues”, until I became one of the very few I found who don’t yet besides some osteo-arthritis which I’m not counting as it’s sort of de facto in us. I do have the factor (HLA-B27) for Ankylosing Spondylitis, a form of autoimmune spinal arthritis which runs in my family, but it has not developed yet in me knock wood as far as I know. My dad called it “Marie-Strumpell Disease” and spoke of receiving deep x-ray therapy for it back in the day – no kidding! My parents were born in the 1920’s and were 40 years old when I hatched, so they’re the same age as many of my colleagues’ grandparents, yes. Whence the very outdated disease reference – and treatment – no one but me has heard of! Story of my life. But I have been checked for it more than once through the years and so far I am negative for it, thank heavens. I of course suspected AS first based on family history and my early onset lower back pain before I ever knew about EDS. Trust me, I’m happy to be negative – I have plenty else on my plate to manage already! That said, I now really appreciate my elderly aunt Kathleen’s incredible strength and grace making it to 92 (so far) with all of the above, albeit not all diagnosed. She did have her AS diagnosed, along with spinal stenosis, herniated discs, sciatica and more, just not EDS. That said, I’ve been following some of the best functional medicine doctors and health coaches on the web the last three years (Carnahan, Myers, Hyman, Lynch, Yasko, Trudy Scott, Mike Mutzel, more), and am increasingly convinced that all the autoimmunity is the likely result of chronic inflammation the combo of a weakened immune system allowing chronic infection (CVID), and our over active mast cells which fire off much too easily and often. Like a war-weary veteran, our poor overworked immune systems start engaging in “friendly fire” if you will, firing off even when they don’t need to at the least provocation, and upon “self”. Toss in some likely common leaky gut from weak epithelial tissues and dysbiosis from weak ileo-cecal valves and I got your autoimmunity right here. Avoid gluten folks! That said, I’ve just recently learned that apparently autoimmune disease can then trigger mast cell activation in return, forming a sort of vicious cycle of inflammation. I’m still trying to wrap my brain around this but have a friend who can speak from first hand experience. Hey, I’m not an immunologist or any species of doctor or scientist, just a well-read somewhat smart and pedantic patient, so I’m doing my best here! I welcome sources for that in the comments if you can throw me some. What? Are you kidding me?? Are you just attention seeking and picking stuff out of a hat to list now Jan?? Aren’t two “trifectas” enough trouble for more than two lifetimes? Oh how I wish that were true dear readers, trust me! No, you’re getting the fruits of a semi-photographic pattern-seeking (likely mildly autistic) brain. Plus, if I were just picking disease out of a hat for attention, I’d be laying claim to having all of these things myself, and I’m not. But I personally know way too many patients who do have a majority if not even signs of all, poor souls. Or all occurring within their family at least. Seriously. It’s heartbreaking to watch, I promise. They all told me so at the support meetings! And we’re all in many ginormous Facebook support groups together, plus some others are on Inspire, some with upwards of 20,000 members, so I have a large data sample to pull from – more than almost any doctor I know of who’s not also in the groups with me! All you doctors have to do is start checking your patient’s family histories more thoroughly – and you’ll see this pattern too, I promise. I’ll even wager my currency of choice: dark chocolate, smile. So it looks like science is slowly catching up with part of this. And not only are the above two trifectas common, but mitochondrial diseases and disorders are also quite common in us too, no kidding! I honestly can’t make this stuff up folks – I wouldn’t have known where to begin. I’m just reporting from the field as it were. 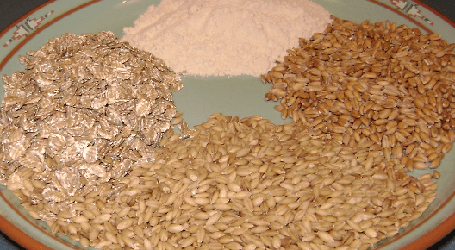 Some functional medicine doctors think Hashi’s may be driven by a cross-reactivity to gluten. Apparently our thyroid protein looks like gluten, which may look like bacteria coats to our immune system, sigh – hope it tastes as good as we autolyse ourselves! But whatever the reason, I’m sorry to say it is very common, as is its opposite: Graves disease, the autoimmune form of hyperthyroidism (overactive thyroid). Ironically I just learned that hypothyroidism in pregnant moms and newborns may lend to autism by altering neurological development, no kidding! That could sure explain a subset of our group right there! But I’m sure that’s not the only driver of autism. Nor of hypothyroidism. Nor do I think autism needs to be “prevented” nor cured to be clear. I’m just reporting on the health status of our families after meeting so many the last five years. This is why I’m referring to this cluster for the moment as The Chronic Constellation. It’s also really late and I’m out of bright ideas and catchy names. This is not an official term – just a quick hook I thought of to hang it on, since it’s more than a Trifecta, and “Hexafecta” doesn’t quite roll off the tongue as well, nor cover it all. Plus, there’s even more to it. This is brand new information, and not at all verified yet. Dr. Meglathery who is bravely putting it forth is wisely seeking scientific backup through as yet unfunded and unperformed research. (Not for lack of effort on her afflicted part.) But I think her hypothesis holds a lot of promise. But if this observation and hypothesis holds up, we may have the answer finally to why we can’t find a single genetic collagen defect underlying the majority of cases of the most common form of Ehlers-Danlos, the Hypermobile Type. (Aka hEDS) And further, why some are not at all or not very bendy with it, despite having all the rest of the trouble above, thus lending to the new Hypermobility Spectrum Disorders newly recognized since March 2017. But even if not, I feel strongly these people are pushing the ball down the field and the constellation we observe definitely holds for whatever reason. I’m not the only one seeing it anymore, and that makes me feel better! In fact, Dr. Meglathery’s RCCX hypothesis is getting great reception in the support groups so far – it fits so many of us! So don’t take my word for it, but stay tuned. I’ll of course keep everyone posted on any new developments I learn as I learn them. Follow me on Facebook or Twitter for the latest information at at all times. And if you found this information useful, I could really use your support at any level one time here, or ongoing here TY! Excellent read, thank you for this. Makes good sense to me: Myself and my two sons have EDS HT, eldest son has A.S.D. (Aspergers)..also Tetralogy of Fallot, youngest now has Coeliac disease. I was diagnosed with severe M.E. for a good part of my life before got EDS diagnosis. Thanks – glad it’s resonating with you, though sorry for the painful journey of course. That said, I think we’re starting to hone in on the drivers of it all slowly but surely. I’ll say this much, reducing your inflammation and supporting yourself with nutrient dense organic foods will only help. Cheers. Jan, you are Awesome! I learn so much from you. I shared your article with my FB friends too. Thank you! Aw thanks! I try 😉 I’ve been basically channeling everyone’s complaints in the large groups and assimilating them for the last four years. Not too surprised it’s resonating with folks. Thanks for sharing! It is a slow journey for sure. In my thirties I was diagnosed with hypermobility and fibromyalgia. At some point after that they said one of my blood tests came back with thyroid antibodies. I have ‘known’ myself for a long time that I had issues with connective tissue, blood vessels bleeding spontaneously, and the ‘most’ Cambell de Morgan? spots the skin people had ever seen, and the un-diagnosed fatigue. But from a generation that hides quite a lot as you dont ‘look’ ill and people think you are a malingerer if you mention your pain. And now with hindsight, I am probably an aspie. certainly got a lot of the ASD traits. Despite this I know I must be way above average intelligence, did a ‘hard’ degree with 3 young kids, and top ten of my year. All for what? been on the periphery of the job market due to trying to work round the periods of physical exhaustion and planning my day after I get up in the morning and see how I am feeling. for curiosity, I now have osteo arthritis, with osteopenia, spine has compressed and I was 2 inches shorter by the age of 60 where the normal limit is an inch and a half by 70. Had the usual lower abdominal stuff that women with EDS can get, prolapses…. And now possibly all linked? Thank you for doing all the research, own GP says no point in getting a diagnosis as it wont be treated! Sorry for your journey, but welcome to the “family” (Clan Dumpty, right?) smile. That said, I do feel it’s still worth getting diagnosed, though maybe not urgently in your case, as we need to have all these conditions recognized. No, they won’t know “the Consteallation”, but this is why EDS is going so undiagnosed – it’s being written off and swept under the rug. But I totally get picking your battles also. And, there IS a little you can do about it – I’m proof of that. No, no cure, but I’m on a daily supplement protocol that’s keeping me walking and even moving some boxes again and without gasping like a fish in pain – or not as much. Anyway, glad you can relate and find some answers, though sorry it’s so, as it means you’ve suffered plenty in your life, recognized or not. I used to roll one or both ankles, like every summer. Finally, in desperation, I took bellydancing, which basically gives you ankles of steel. I was the only person I knew who could lotus, the only one who could put her hands flat on the floor even after age 30 and roll up to a standing position vertebra by vertebra. All this even though undiagnosed, therefore untreated, Osgood-Schlatter made kneeling for more than a few seconds incredibly painful! Now, I have permanent ankle pain and swelling due (get this) to pregnancy. Even though my youngest is now in school, it will never leave me. My mother had ankle issues. Two of my daughters have ankle issues. One has issues in all of her joints, with weird migrating pains and ankles that look like this: > instead of like this: I. The other one is currently “just” a pronator, like I was, and is also on the spectrum at about the same place I am. You guys! The RCCX Project can now accept donations to help fund the research needed to validate Dr. Meglathery’s theory about this complex possibly driving this “Chronic Constellation” (my term, NB) here now – please donate but at least share far and wide in any case, thanks! 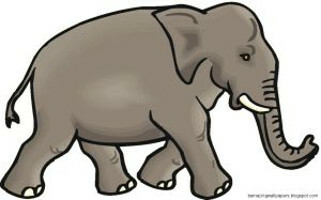 I am certainly one of those elephant/zebra/Aspies out there and would love to be involved in the research. I suspect that there is a leg of all this related to the BH4 cycle and MTHFR A1298C, especially on the MCAS/neurological side of things. Unfortunately, I lost my job, so I can’t fund anything unless I get some disability love at some point! (ANS), which has neural tracts from brain to endocrine glands (hormone secretions), organs (heart, lungs, intestine, bladder, etc. ), and immune tissues (intestine, spleen, bone marrow, etc.). Autonomic nerves are a spiderweb-like array of neural tracts that are stretchable, bendable, and impinge-able; all deformities expected to modulate the function (electromagnetic messaging) of these neural tracts; even absent cell death. Autonomic nerves transit thousands of joint spaces, ostia, foramina, bony prominences, and tight spaces between bones, such as occurs with TOS. Hypermobile joints might be expected to disrupt normal balance of ANS messaging systems, i.e., cause Dysautonomias, and to disrupt physiological functions of end organs and tissues these nerves enervate. For example, a bendy spine (functional scoliosis) is a normal morphologic concomitant of Hypermobility Syndrome; wherein body mass is impressed under force of gravity. Numerous autonomic nerves transit vertebral spine subluxations within a spine beset with scoliosis; perhaps an etiology for a Dysautonomia called Gastroparesis. There is no evidence that mast cell and other tissue and end organ dysfunctions are more than secondary effects of a primary genetic disorder of Hypermobility Syndrome. When the activities of physiologic feedback loops are contemplated within the myriad of neural, hormonal, and biochemical systems of the body there should be little surprise that widespread mental, behavioral, and physical disorders are evoked as result of an unstable musculoskeletal system. 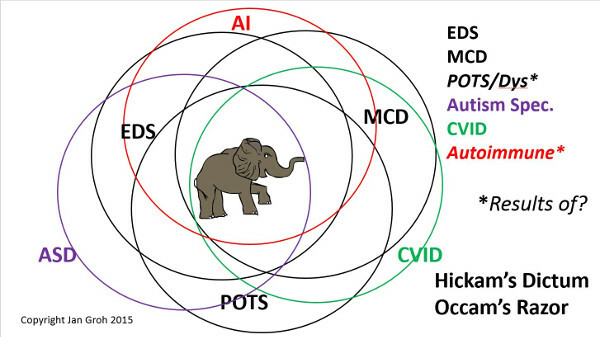 Interesting perspective to add to the mix, however I think it’s truly a combo of both such biomechanical (X) drivers AND biochemical (Y, aka MCAD) drivers of all our issues (including gastroparesis). I say this from personal experience as a patient who has peeled back a couple of her own onion layers and gotten improvement on some issues (e.g. motility) just from treating MCAD alone. Leaving me with the remaining hypermobility to explain much of the rest, yes. I don’t doubt the ANS runs far and wide, and is impinged and disrupted far and wide in the hypermobile patient as you describe. (My vagus nerve seems to be spared more than most, knock wood quick!) Thanks for the input Dr. B. Fantastic post, thanks for all you do. Also, excited about what the RCCX Project will yield. Wow, wow, and wow again. I have so much to say about this that I’m kinda speechless. I’m sure staying in this loop! Can I day Wow again? Lol – yes y u may! If you said “Wow wow wow!” I’d think you were quoting Alice in Wonderland 😉 (From which that comes.) Anyway, happy to have you “in the loop”. This was very eye opening to read! My grandson was just recently diagnosed with EDS 3 hyper-mobility type. The more I am reading and learning I am certain there are many more in the family that should be checked. My son (father to the child with EDS) was diagnosed with JRA as a young teen around age 12. My other son was diagnosed with heart murmur issues and tachycardia, thyroid problems, pre-diabetic, sensory integration dysfunction, auditory processing disorder. My youngest daughter was diagnosed with autism at age 4, wore AFO leg braces at age 4, diagnosed with sensory integration dysfunction, bladder spasms, reoccurring bladder infections, seizures, bruising without any reason, ataxia, anxiety, for a few years followed her for possible MS but they ruled that out, now sending us to neurology at university hospital for chronic migraines , she has problems with her hips dislocating, neck popping, knees popping, chest pain for no reason,sensitivity to lights, asthma as a child still breathing issues but they say no asthma, the list just goes on and on… she has had to quit all her extra school activities because shes so exhausted needs a nap everyday! Me Ive been fighting joint pain for 25 yrs hip pain, pain in fingers, ankles locking up, ankle pain, i do seem to be bendy bending pinky finger back over 90 degrees, can touch thumb to forearm and knees bend back ….. i too was in leg casts as an infant but i have no clue why and my mother is no longer with us to ask, i developed osteoarthiritis at around age 43 in my knee. Some areas of my skin are very stretchy too. Husband was born with auto-immune disorder hypogammaglobuliemia, IgA deficency, has heart problems, lung problems, pulmonary Embolism, stage 3 renal failure, and Early onset alzhiemers also had two knee surgeries when he was 16 to 18 and told at 18 he had arthritis, GI problems, lactose intolerant…. he is totally disabled at age 52 and they have said hes terminal. I have always said there just has to be some how that all this is related genetically with what the kids have. Doctors just tell me oh its just how it happens and just brush me off. It is so frustrating to not be able to find out what my daughter truly has… which im very sure its likely EDS. Reading your post gives me hope to keep going. Thank you! Glad my post could help you connect some more dots for your family Christy – I like to say we’re not losing our minds, just our bodies, heh. That said, the irony is, this isn’t rare, it’s just rarely recognized yet, because it IS so common (I’m guessing at least 1-2% maybe more, but have no data to back this to be clear) that we have all “normalized” it. Which is why your doctors did/DO brush you off with “oh that just happens”. Because in their eyes, it does! Good question, and not to my knowledge yet, no. (Doesn’t mean there is one, but I’ve not heard of it.) That said, it’s my possibly outdated/misguided understanding the CP is acquired, not inherited. That is, and forgive my ignorance if I’m totally wrong, but isn’t it a result of low oxygen during a prolonged/protracted birth process or possibly the cord wrapping around the neck? Ironically, I’ve heard of more babies being premature or coming fast with EDS than the reverse. But I don’t honestly know everything. And… I wonder if they’re mistaking something else for a form of CP? Or it’s another form I just haven’t heard of? Good Q. 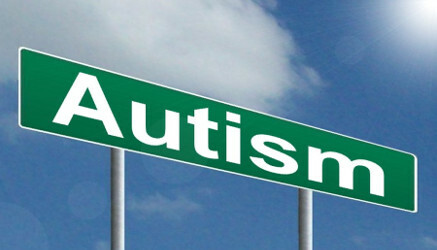 There is a study linking autism to hypermobility. Adding to the story a bit, I just wanted to perhaps add osteoporosis to the mix and a strong correlation with gut and brain inflammation, histamine intolerance, migraine and, perhaps most interestingly, hypothalamic inflammation and associated dysfunction. The bone issues seem to go with endocrine dysfunction. Mast cells tear down bones when inflamed, scavenging calcium along the way. Perhaps calcium absorption is impaired or perhaps the bone dysfunction is causing the chronic pain. Great additions all… I quite agree. Thanks Mark. And good Q re: the bone pain… hard to say… (I sometimes picture over active bone marrow with squirmy mast cells inside when I read about it myself, but I’m sure that’s not accurate.) Also trying to remember what Afrin said about it, if anything… (too lazy to go grab my book, lol)! Every day is different, and I’ve learned to just take them as they come. My body will make me if I don’t, smile. I am enjoying returning to my music and gardening pursuits slowly as able, yes. You gotta enjoy something or life will just pass you by in a blur of pain. Don’t live in the past or the future. Just enjoy what you can in the present. Way to prevail Regina! Thanks for sharing your story as an African American too. I think you guys are under-represented in the community still. Hugs.